Paul Jones continues a profile of the great Antoine 'Fats' Domino, the New Orleans R'n'B legend, who died on 24th October 2017, aged 89. First broadcast on BBC Radio 2 in 2002. 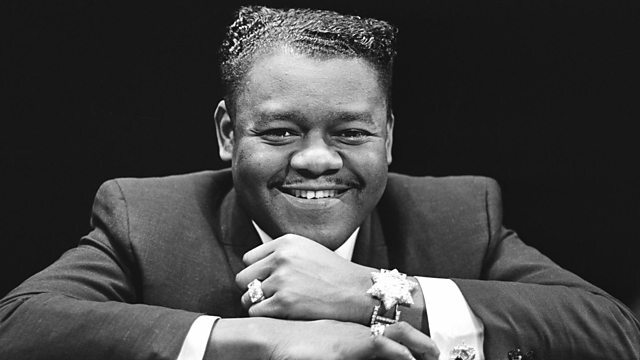 Paul Jones continues his series profiling the great Antoine 'Fats' Domino, the New Orleans rock 'n' roll and R'n'B legend whose classics include Blueberry Hill and Ain't That a Shame, and whose influence has spread across the world since his first recordings were made in 1949. Fats died in October 24, 2017, aged 89. First broadcast on BBC Radio 2 in 2002. THEY CALL ME THE FAT MAN. The Imperial Singles Vol 2 1953-1956. THE LEGENDARY IMPERIAL RECORDINGS PART 1. THE BEST OF TERESA BREWER. THE IMPERIAL SINGLES VOLUME 2 1953-1956. THE FATS DOMINO SINGLES ALBUM. MY BLUE HEAVEN - THE BEST OF FATS DOMINO.